Paul Jepson is course director of the MSc in Biodiversity, Conservation and Management. He previously directed the MSc in Nature Society and Environmental Policy (2007-2013) and prior to these appointments, he held Senior Research Fellowships with the Environmental Change Institute and the Skoll Centre for Social Entrepreneurship at the Said Business School. Paul transferred into academia from a successful career in conservation management and policy. He has consulted for a wide range of inter-governmental and non-governmental organisations and was Indonesia Programme Coordinator for BirdLife International (1991-1997). He started his career as a local government countryside officer developing new urban conservation initiatives in Manchester and Shrewsbury (UK). 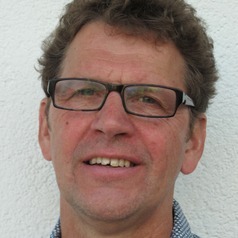 His research interests focus on the geographies of conservation governance with particular reference to long term interests in protected area planning, wildlife trade, conservation history, attitudes, values and practices, media representations of conservation issues, and the role, accountability and legitimacy of conservation NGOs. Relating to the later Paul is actively integrating the opportunities offered by new technologies and media into his teaching and research. Paul leads an interdisciplinary Conservation Governance Lab working to generate novel and creative insight to help conservation assure its relevance and impact in the 21st century. The lab's identity is founded on the belief that important applied insights lie at the interfaces of the natural and social sciences and of theory and practice. It aims to generate richer conceptualisations of the actor, policy and management landscape of conservation and how this varies across time and space. More specifically, Paul's research and writing focuses on three themes: i) theory development to support better conservation practice, ii) the governance of conservation over space and time, and ii) new trends in conservation governance futures. Over the last five years he has published a series of conceptual papers together with Richard Ladle and Maan Barua exploring the agency of 'biocultural' terms and phenomena in conservation (e.g. extinction, flagships, rediscovery) and their role in producing the institutional practices and actor assemblages of conservation. His more empirically based work explores how western-formulated conservation logics and policy instruments interplay with local cultural and resource management to produce differing geographies of conservation action. His earlier research investigated the role of NGOs in producing the spatial regimes of conservation (through ecoregions, hotspots and HCVA) but latterly his focus has oriented towards action-research that seeks to generate new thinking on ways to govern pastimes that have negative conservation impacts but that are culturally embedded (specifically bird-keeping and migratory bird hunting) and generate significant social and economic benefits. A developing research theme of his lab concerns the implications of new technologies and the practices they produce for the future of conservation. Under this heading Paul has been active in convening and contributing to meetings and symposium, developing research proposals with colleagues in the Biodiversity Institute and is currently undertaking a survey of conservation and nature apps.